Are your gutters serving you well? 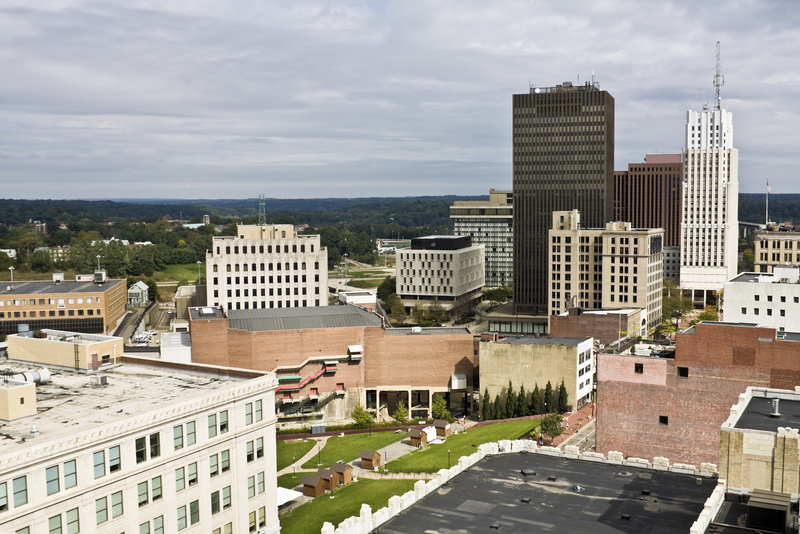 When you install gutters, you need to prepare for Akron’s fall and winter weather. Prevent gutter problems and find gutter solutions by installing landscaping products that make gutter maintenance simple. In the fall and again in the spring, the buildup of debris can make it harder for water to flow through your gutters. In the fall, leaves accumulate in your gutters, causing water backups. In the spring, blossoms can add to the accumulation of debris. If you have a lot of leaves and blossoms in your gutters, you may also find that birds and wasps are attracted to them as potential nesting areas, further blocking your gutters. Blocked gutters are not only a problem for water flow; they also spell trouble for your roof and landscaping. Water backups mean that water stays on your roof or moves under roofing materials, causing leaks. Heavy debris can cause your gutters to sag and move away from your home, leading to repair work and drainage troubles. Warped, sagging, and leaking gutters often leak down the side of the house, causing trouble with algae and erosion to landscaping. Luckily, there are solutions. Regular maintenance in the fall and spring can keep your gutters clear. If you’re tired of removing leaves and don’t want to stand on a ladder, installing a product such as Gutter Helmet can help. Gutter Helmet is a gutter cover that prevents debris from entering your gutters in the first place, and it allows water to flow easily from gutter to downspout, no matter what time of year it might be. Ice dams can be a problem during the winter months. Helmet Heat can help. 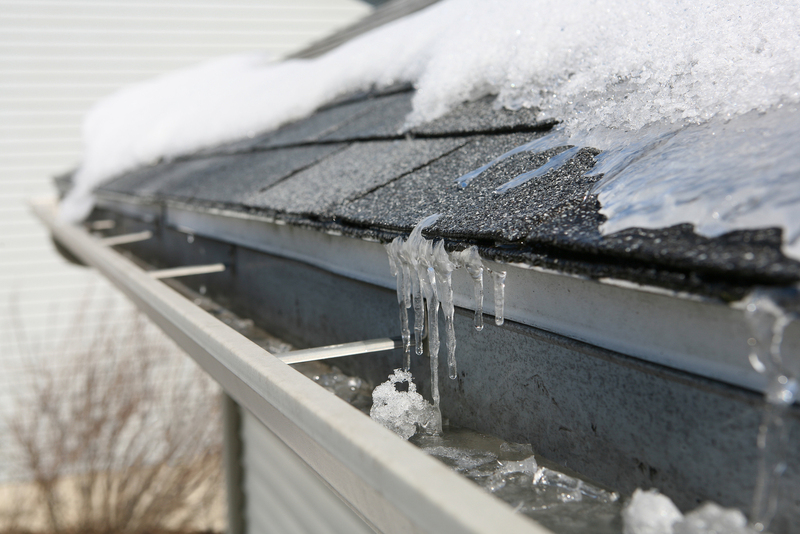 In Akron’s winters, you may sometimes experience heavy ice and snow buildup in your gutters. This can be a problem, since accumulations of snow and ice can cause ice dams. These ice dams not only make it hard for water to drain when it gets warmer, they can also cause your gutters to warp and sag, since water expands as it freezes, pushing against the sides of your gutter. When ice clogs your gutter, what can you do? Installing a product like Helmet Heat can help. Helmet Heat gently warms your gutters, making it harder for water to freeze and accumulate. Water can continue to flow through your gutters and into your downspouts, improving drainage and preventing backups that can damage your roof. When you’re looking for gutter solutions, contact Harry Helmet. Our gutter products are designed to manage seasonal ice and snow and can make it much simpler to maintain your gutters during the spring and fall as well. When you install a Gutter Helmet or Helmet Heat system, you invest in easier yard maintenance, so that you can spend more time enjoying yourself outdoors and less time maintaining your home and garden.